Before Christmas, I posted my tally of opera performances attended during the year. Having attended my final concert of the year last night, I can now do the same for concerts and, below, combined. I may have miscounted, forgotten the odd thing I did not review, etc. Encores are not included (if only because I have not always noted them down). One appearance in a single programme counts once. What does this show? Not very much, perhaps. It certainly does not reflect what is performed; I naturally tend to choose performances I think will interest me. On the other hand, if no possibilities to hear Webern had presented themselves - which sometimes they do not - I should not have been able to hear his music on six different occasions. Moreover, if I can hardly lay claim to anything approaching gender balance here, it is good to see three women composers - Charlotte Bray, Helen Grime, and Olga Neuwirth - receive more than one performance. Neuwirth would have had another, had bronchitis not had me miss one of hers. 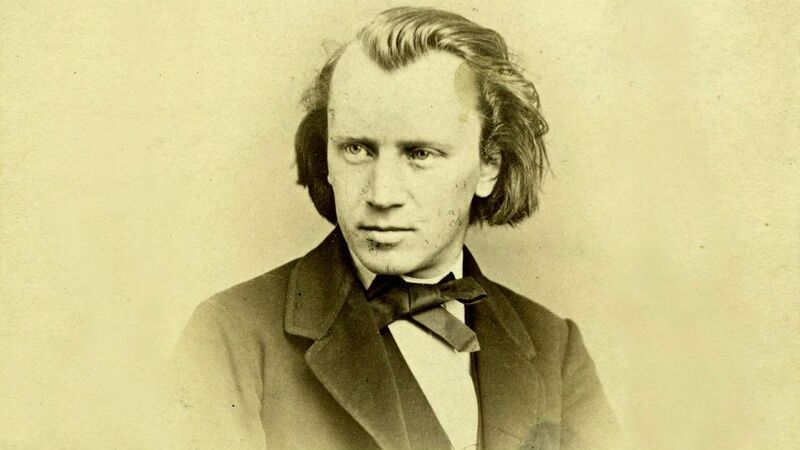 It is good, in any case, to see Brahms - often the target of a bizarre loathing more suited to the nineteenth century than the twenty-first - come on top of the concert list and indeed to share second place in the aggregated list with Wagner. If Mozart comes out on top, I am certainly not going to complain. Click here, for the sake of comparison, for the lists for 2017. Anniversaries too often prove a lazy way to programme. Sometimes, though, especially in the case of composers in need of rediscovery, they afford excellent opportunities. 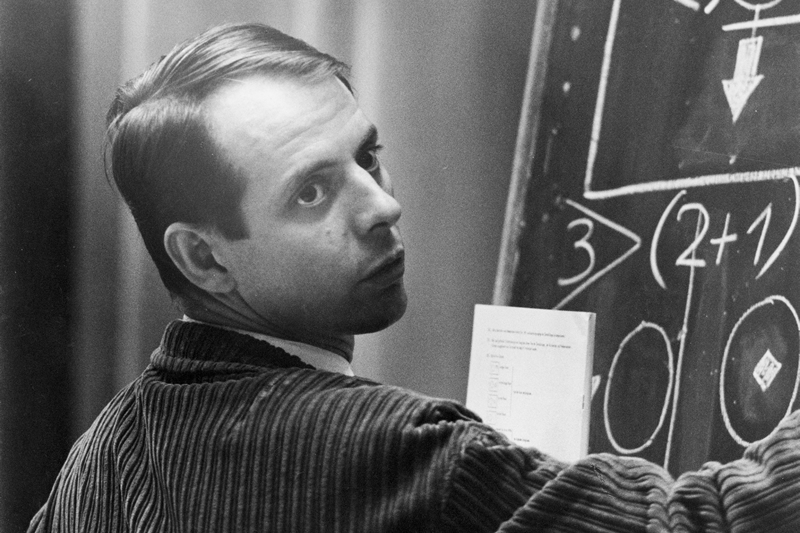 Such has been in the case of Karlheinz Stockhausen, latterly overlooked in favour of other post-war avant gardists. His ninetieth birthday has brought forth a number of outstanding performances. (One excellent thing about Stockhausen’s music in performance is the consistently high quality of performance. Either you can do it well, it seems, or you do not do it at all.) A standing rebuke to those who would fashionably claim that the later Stockhausen, the Stockhausen of the Licht operas, had gone off the boil – usually one discovers that they do not even know the later music – was provided by Paris’s Opéra Comique and Le Balcon, in an unforgettable staging of Donnerstag. Two concerts in particular from this year’s Musikfest Berlin had the composer from Sirius shine almost as brightly as his star itself: Mantra from Pierre-Laurent Aimard and Tamara Stefanovich, and a truly once-in-a-lifetime – I hope I am wrong – performance from Aimard of the first eleven Klaverstücke. Another anniversary composer, Bernd Alois Zimmermann, in this case celebrating his hundredth birthday, featured in an altogether magnificent concert from Håkan Hardenberger, the ORF Vienna Radio Symphony Orchestra, and John Storgårds in Vienna, Gunther Schuller and Dvořak the other composers. Debussy may be less in need of special exposure, but the centenary of his death brought a good number of excellent performances, from which I shall choose first a January concert from the LSO and François-Xavier Roth, Jeux in as comprehending an account as that is never something to be taken for granted. Debussy, Zimmermann, and Roth came together in a concert at least its equal with the Berlin Philharmonic. Debussy’s Images interspersed with works by Ligeti: no gimmick, genuine illumination. Returning to opera, the Festival d’Aix en Provence offered a splendid staging, broadly what one might call ‘modern conventional’, yet excellent of its kind, of Prokofiev’s The Fiery Angel. Katie Mitchell had gone one further the previous night, with a long overdue feminist reassessment of Ariadne auf Naxos, also notable for a superlative performance of the title role from Lise Davidsen. Over to Salzburg and Hans Neuenfels showed that he very much still has ‘it’ in his new production of The Queen of Spades, Mariss Jansons and the Vienna Philharmonic in the pit, a fine cast to boot. 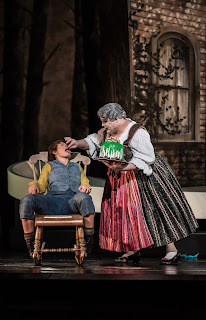 Indeed, this proved a vintage year for Salzburg opera – an appalling Magic Flute notwithstanding – with excellent new stagings of Henze (The Bassarids, Krzysztof Warlikowski) and Monteverdi (L’incoronazione di Poppea, Jan Lauwers). Mozart's operas are perhaps the most difficult of all to bring off. Even to consider including one here speaks volumes: volumes should certainly be spoken of a magical Così fan tutte from Opera Holland Park this summer. Earlier in the year, the Royal Opera House’s world premiere performances of George Benjamin’s Lessons in Love and Violence revealed another towering operatic masterpiece from the composer. Fashionable voices said otherwise; they are no more to be heeded than in Stockhausen’s case. The Royal Opera’s new From the House of the Dead (Warlikowski again, in a long awaited house premiere) also shone, not least on account of Mark Wigglesworth’s typically first-rate conducting. Frank Castorf’s Munich production of the same work may ultimately have eclipsed it – it would have eclipsed most things – but what a year it was in which to see both. Daniel Barenboim conducted Tristan und Isolde in a new, truly thought-provoking production – sad to say, much misunderstood – by Dmitri Tcherniakov. Also at the Berlin Staatsoper, now rightly returned to its home on Unter den Linden, came a further Neuenfels hit: Salome that announced to all the world in neon lights: ‘Wilde is Coming’. I always look out for Schoenberg performances. This year, the Dresden Semperoper offered perhaps the finest staging I have yet seen of Moses und Aron, directed by Calixto Bieito. What a joy, moreover, to hear the great Staatskapelle Dresden in such music! Esa-Pekka Salonen conducting the Philharmonia in Gurrelieder sent shivers down the spine and brought (many) tears to the eyes: another outstanding performance from a consistently excellent team. What a splendid way to round off the musical year: generous, immediate performances of three piano trios from the Wanderer Trio at the Wigmore Hall. And where better a place to start than with Haydn, who, if he did not quite invent the genre, soon brought it to a level of invention never previously hinted at and never to be surpassed? The 1795 E-flat minor Trio is a curious work, as experimental as any, belying claims of a relative classicism to the composer’s (relative) old age. That was how it sounded here too, its twists, turns, and ultimate cohesion in or under hands that, whilst safe, were anything but dull or complacent. The key itself – of the first movement, that is, the second and final movement moving to E-flat major – is unusual, even for Haydn. (It is difficult to imagine Mozart opting for it, save perhaps as a rare episode.) Its quiet dignity, at least as used here, was conveyed with a strange melancholy that put one in mind of the Sturm und Drang Haydn, albeit distilled. Whenever the rondo theme – yes, the first movement is a rondo – reached its Neapolitan moment, one felt the harmony’s historical roots in earlier eighteenth-century Naples, yet also knew its kinship with Haydn’s own double variations for piano in F minor/major and certain aspects of the musical future to come: to be, as it were, invented. The B major episode proved especially striking, moving enharmonically down a major third, offering both in work and in performance a striking pre-sentiment of Schubert. (Yes, I remain enough of an historian to damn such forward-looking teleology in abstracto, but here in context…) Brighter, yet still in the shadow: there was a rightness here that brooked no response. Nor did the formal freedoms and ingenuities of the second movement, played, liked its predecessor, with string tone and style speaking very much of what we may probably still yet call the Franco-Flemish school. There was, no need to exaggerate in lamentable contemporary ‘period’ fashion; Haydn can speak perfectly well for himself, whatever the art that conceals such performative art. In tonal journey and detailed interest alike, the Wanderer players commanded and held our attention. Dvořák’s Dumky Trio immediately announced a different, if not unrelated, world, the players’ tone and conceptual unashamedly full-blooded in a Romanticism that was yet far from generic, but specific to the particular language and flavour of composer and work. We found ourselves in the world of the public concert rather than the connoisseur’s chamber. Moreover, each musician’s performance possessed the character one might, however erroneously, associate with a group of ‘star’ soloists; ensemble playing and understanding reminded us that this was very much an established rather than an occasional ensemble. Rhetoric, character, and form played vividly before our ears, whether in the quasi-rustic – how ‘quasi’ remains a matter for debate – spirit of the ‘dumka’ dance or the comforts of the mitteleuropäisch coffee house. Indeed, quicksilver shifts of mood that registered just as strongly as any underlying unity. For instance, in the second of the six movements, we heard a melancholy that spoke in context of affinity with Haydn, whilst retaining its particularity; no sooner had we done so, though, than the music had wrenched our thoughts and emotions elsewhere. If gear changes were sometimes obvious, that was as much a reflection of the score ‘itself’ as its performance. There was no denying the charm, the dancing fury, or the Bohemian ‘soul’ – however much, in the cold light of day, we may wish to deconstruct such notions. Schubert’s E-flat major Trio made for a satisfying tonal reprise and development – among many other virtues. The Wanderer Trio brought to the first movement and much else a buoyant charm that assisted both integration and development: here most noticeable, aptly enough, in the development section, but also in the second development of the recapitulation. The Andante con moto offered a trudge that was brisk yet never brusque, in keeping both with Schubert’s tempo marking and, more important, the ineffable character to his writing. Imbued with dignity and passion, the performance proved flexible too, without losing track of a fundamental pulse. These were fine guides indeed to a very particular tonal winter’s journey. A well-sprung scherzando proved playful yet never insouciant. As expansive as its companions in its own way, it lacked – like them – any sense of the longueurs that can plague lesser accounts. The finale seemed, in a strange sense, to bring us back once again to the spirit of Haydn: what he might have done in an absurd, hypothetical sense – until, that is, it was very much what he would not have done. The music looked forward too, to Schumann, to Brahms, to Dvořák, yet never sounded untrue to itself. Technical excellence, emotional affinity, and a gift for formal and thematic integration proved complementary in a fine conclusion to a fine concert – save, that is, for an energetic encore of the finale to Haydn’s so-called ‘Gypsy’ Trio. In this, I think I have counted all opera performances throughout the year, not only those I have reviewed. I have included concert performances, including one single act (from Die Walküre), but not excerpts in the sense of scenes and arias. I have also included a couple of dress rehearsals, on which I naturally did not write (Lohengrin at Bayreuth and Die Frau ohne Schatten in Berlin). No huge surprises, then, but nice to see a range of composers, many of them living, represented by single performances. Concerts will have to wait a little longer, since I do not want to jinx something I am planning to attend later in the month. L’Enfance du Christ is not an Advent work, but since most of this country’s musical institutions shut down over Christmas, Advent is probably the only chance we shall have to hear it – and even then, only on occasion. But then Messiah is a Lenten work, and yet… There was certainly much for which to be grateful in this BBC SO performance. An initial tendency, heard for instance in the first scene’s Marche nocturne, for Edward Gardner to drive Berlioz’s music too hard, was mercifully not maintained. Indeed, as time went on, Gardner’s tempi relaxed more, greatly to the music’s benefit. The BBC Symphony Chorus’s singing, at the outset a little woolly, sharpened up too. If orchestral colours tended to be stronger on individuality then on blend, that was only a tendency, with plenty of exceptions, not least the opening woodwind recitative, in which the orchestra, Robert Murray, a fine Narrator, drew us in, his entry and that of the strings having the drama gather pace nicely and without exaggeration. Pastoral innocence was just what we needed as balm to such malevolence, and so we heard – even saw – it at the Bethlehem stable. Karen Cargill’s beautifully floated lines as Mary remained alert to Berlioz’s idiosyncracies. Joined by Etienne Dupuis, whose suave, stylish, yet heartfelt singing proved very much one of the evening’s highlights, this Holy Family gave us something we might or might not believe in, but which could certainly enchant. Berlioz’s tone-painting did likewise, although it had me think his strictures against Haydn in The Creation not without double standards. Joined by offstage members of the BBC Singers as angels, singing very much in a choral tradition of French semi-archaism, this was a scene not just of contemplation but of readiness to depart. It prepared us as well as the Holy Family well for the short second part: ‘La fuite en Egypte’, its Overture having me wonder again – as I had during Herod’s music – whether Mussorgsky knew the music and unconsciously had it in mind when at work on Boris Godunov. The Russian composer certainly cherished Berlioz’s treatise on orchestration. Sometimes a correspondence is just a correspondence; at any rate, parallels, such as they be, may be worth consideration. The celebrated ‘Shepherds’ Farewell’ flowed nicely, integrated rather than a ‘set piece’. Murray’s narration reminded us how stylish and meaningful his French singing could be; sweet toned too, it was really rather wonderful. The third part, entitled ‘L’Arrivée à Saïs’, is indeed an arrival in more than a strictly narrative sense. 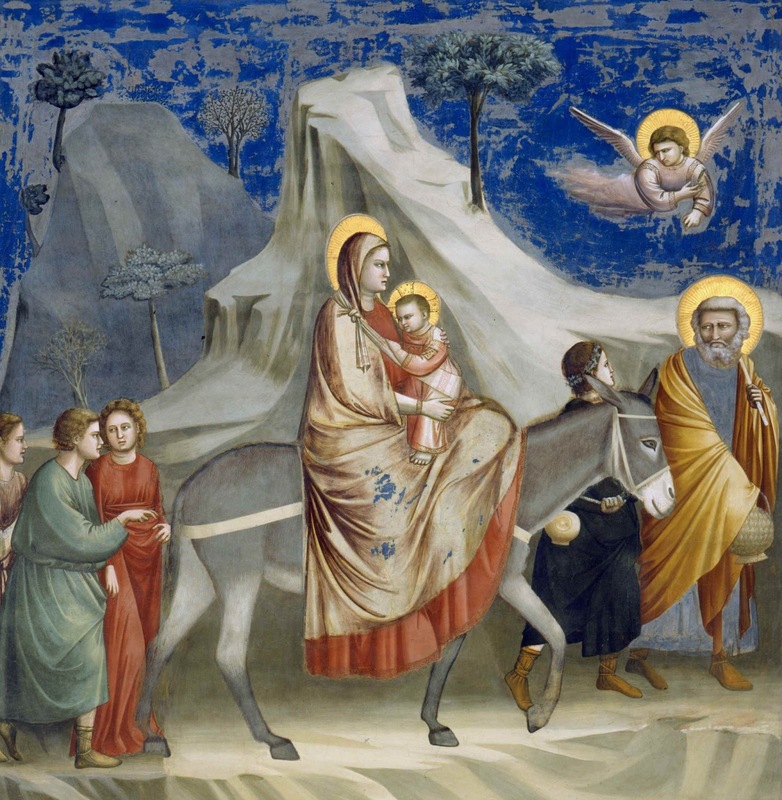 The Holy Family, following malevolent calls, as May would have it, to GO HOME – ‘Arrière, vils Hébreux,’ shout the Roman and Egyptian Tories de leurs jours – nevertheless find shelter with fellow ‘migrants’: an Ishmaelite and his family. And yet – something that came across gently yet strongly in performance – this is not the end of the story. Anticipatory narration, clearly, vividly delivered by Murray and the BBC SO alike, is never quite fulfilled, events and sentiments in the Ishmaelite house – Berlioz’s fugal chorus especially relished – a challenge to us, to the readers of his picture-book to respond or, like many self-styled ‘Christians’, to cross to the other side of the road, with or without ‘citizens of the world’ abuse. Berlioz’s closing chorus, euphonious to a degree, sounded a gentle warning: ‘O mon cœur, emplis-toi du grave et pur amour qui seul peut nous ouvrir le céleste séjour.’ Will any of us heed it? Fresh from a month-long Asian tour, Mahan Esfahani continued his Wigmore Hall Bach odyssey with a typically enlightening mix of the familiar, unfamiliar, and the reassigned. In the final camp fell the Four Duets from the third book of the Clavier-Übung. Although written for an organ collection, there is no reason why they should not be played on another keyboard instrument. I used to play them on the piano as well as the organ; Esfahani cites Ralph Kirkpatrick as a forerunner in his game of ‘musical larceny’. Whilst they might seem to offer – to the amateur – an ideal combination of absorbing musical interest and a lack of great technical challenges, such would be misleading. As Esfahani noted in a typically engaging and informative programme note, ‘their persistent two-voice structure so exposes the weaknesses of the player’ as to make ‘me regret this theft; it is something akin to kidnapping a very precious plant which can survive only on distilled water and the most expensive fertilisers.’ For what it is worth, performing them convincingly on their ‘original’ instrument, the organ, is no lazy stroll in the park either. It was clear from this performance that Esfahani had thought long and hard, experimented long and hard, about how best to play them on his instrument, whether generically or specifically (coming from the workshop of Jukka Ollikka in Prague, ‘based on a free adaptation of theories from the Berlin court builder Michael Mietke (170) with a carbon fibre composite soundboard designed especially by Mr Ollikka himself’). This was certainly no generic ‘keyboard’ performance, articulation, registration, and much else both considered and convincing. Changes in registration between the duets offered no mere contrast for the sake of it, but intelligent contrast, allied to or rather born out of the demands and possibilities of the material. The darkness of the first, almost as if to demonstrate the seriousness of Bach’s late (well, late-ish) counterpoint, married to meaningful flexibility of tempo announced a priority of searching, of questing, which, even in this most ‘finished’ of music, would be maintained, indeed furthered, throughout the recital. Bach’s intense chromaticism, for instance in the second, had no need of grotesque overemphasis: it spoke, in context, for itself. Likewise the relative galanterie of the third piece and the return to gravity of utterance in the fourth. Neither Bach nor his interpreter could justly be accused of failure to approach the task from a multiplicity of standpoints. Such, then, augured well for the rest of the evening. I confess to never having heard the Praeludium et partita dei tuono terzo, BWV 833, previously – or, at the very least, not being able to recall having done so. It exists, it would seem, only in the hand of Johann Christoph Bach the Elder (the oldest surviving brother of Sebastian), and thus is marked, at least in the score, by that Bach’s ‘highly individual approach to ornamentation and embellishment which may or may not have anything to do with JS Bach’s own practices’ (Esfahani). I have not had chance to consult a score, so any comments are based on the one-time evidence of my ears alone: just like hearing a piece of new music, then, which experience always brings its own excitement as well as shortcomings. Much sounded, perhaps unsurprisingly, very much in the French style: the opening Prelude in particular, albeit not without German accent. The following Allemande put me a little in mind of Handel: not that I should necessarily have identified him as the composer, but perhaps more a matter of common influence. Again, ornamentation and indeed performance may be part of the matter here. The bright contrast (registration again, but again not only registration) of the Courante offered a certain, far from inappropriate brashness, not least in Esfahani’s strong rhythmic drive: this is, after all, a young man’s music, coming as it does from some time before 1708. Woven like a superior (Gobelins?) tapestry, the Sarabande and – I think, not having movement titles and details to hand – double led to a strangely operatic closing Air, whose style looked back to the seventeenth century and in some respects perhaps even earlier still. Bach was not always ‘Bach’ – which should interest rather than disquiet us. With the second of the Six Partitas, that in C minor, BWV 826, we returned to more familiar ground. The advent of the opening Sinfonia brought C MINOR in unquestionable upper case to our consciousness: not so much with the baggage that key might entail, but with so many of its expressive opportunities. Its central Andante music, freer yet inevitable, confirmed a well-nigh Schoenbergian (Beethovenian, if you prefer) dialectic between freedom and organisation, only furthered in the movement’s headlong closing fugal section. Thoughtful intensity, arising out of the notes, certainly not appliqué, yet arising out of a broader culture too on the part of composer and performer alike (one would hope, audience too), characterised the ensuing Allemande and Courante. Similar in some respects, quite different in others, they fulfilled their roles admirably both in themselves and as part of the suite’s grander scheme. Inward, even wayward, yet without excessive introversion, the Sarabande did likewise. The busy quality of the Rondeaux and closing Capriccio was certainly not idle; rather, it offered a point of observation and, to a certain extent, focus of contrast to the preceding dance’s harmonic richness. The resolute quality Esfahani brought to that final movement, very much a finale here in character, would surely have been admired by at least a couple of Richters: Karl and Sviatoslav alike. The C minor Fantasia, BWV 906, seemed to take up, interval notwithstanding, where the Partita had left off, prior – crucially – to going its own way. Again, Esfahani used imaginative, telling registration to delineate structure, but that was only part of his developmental strategy in a performance that seemed very much to partake in nineteenth-century visions of the Bachian daemon. It was not Liszt, of course, but it – whether ‘it’ be work, performance, audition, or ideally a conversation between all three – spoke a little in his tongue or at least his spirit. 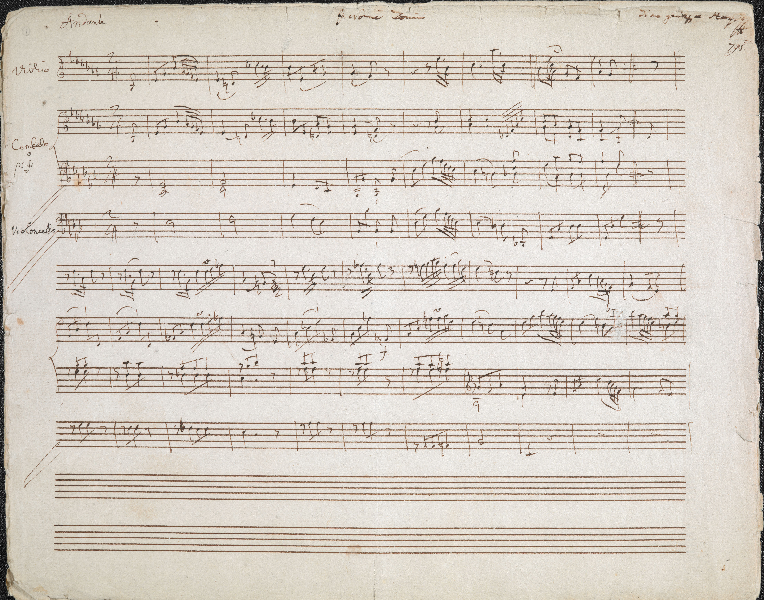 The A minor Partita, BWV 827, was the final work on the programme. Esfahani spoke of understanding this work in particular as a work of questioning rather than answering – a view reflected or, better, expressed in the harmonic restlessness of the opening Fantasia. Likewise, albeit with very different character, in the Allemande, whose connections, however intangible, to the first movement were felt as strongly as those to the ensuing Corrente, whose fantasy seemed necessitated by what had gone before. Once again, that dialectic between freedom and organisation proved properly generative. I found myself quite taken by the nagging yet elegant persistence of the opening bars of the Sarabande, thereafter by its unfolding, both unexpected and, in retrospect, inevitable. Excited relief characterised the Burlesca and Scherzo, the latter possessed of a curious obsessiveness. Taken attacca, the closing Gigue responded, with a still more heightened sense of necessity, in more involved fashion. Relished and dramatised, it dazzled from within. In response to that, Gottfried Heinrich Stölzel’s ‘Bist du bei mir’, long attributed to Bach, proved a charming encore. Bach can sometimes be ‘Bach’ even when he is not. 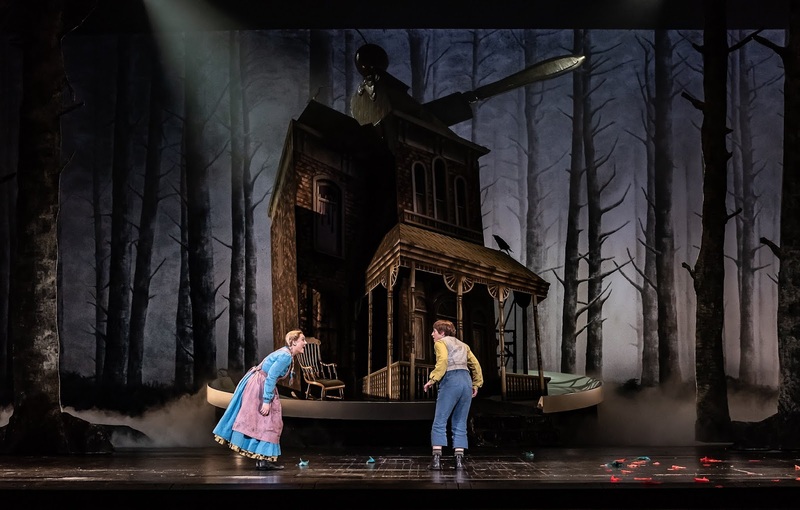 First the good news: the Royal Opera’s new production of Hänsel und Gretel was certainly well sung, if ultimately lacking the sheer memorability of a great performance. Jennifer Davis and Hanna Hipp made for a highly likeable sister and brother. From the front of the stalls, where I was fortunate enough to be seated, their facial movements and other body language were just as telling as their musical performances, diction as excellent as vocal line. Lucy Burge’s skilled movement direction proved a definite boon, here and elsewhere. Michaela Schuster’s Gertrud offered luxury casting, finely assumed, even if it were wasted on a production which gave her little to do; Eddie Wade’s last-minute substitution for an indisposed James Rutherford as her husband likewise did all that might reasonably have been asked of it. If Gerhard Siegel’s Witch suffered most of all from the production’s inadequacies, having a veteran Mime in the role offered plenty of food for independent thought, especially when sung with relish and precision. 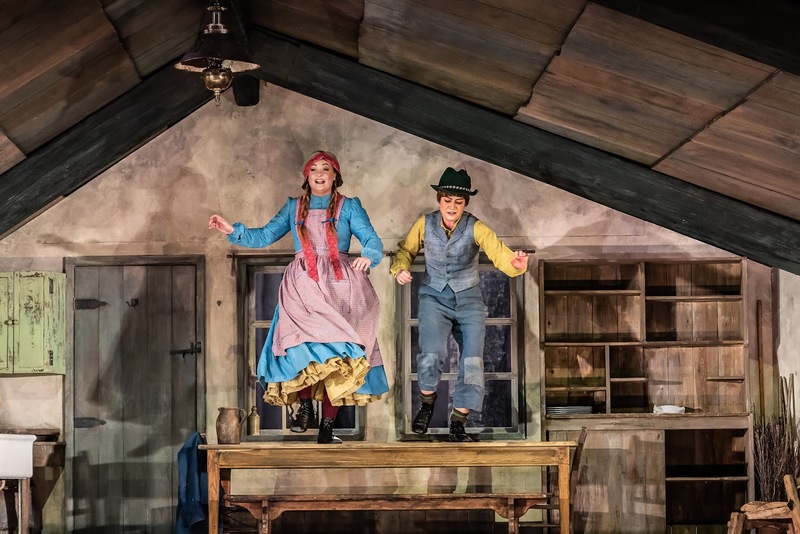 The smaller solo roles were both well taken and the singing children from the ROH Youth Opera Company did themselves – doubtless their friends and families too – proud. The Orchestra of the Royal Opera House played well too, if again some distance short of memorably. If only these musicians had been conducted by someone with greater charisma than the decidedly Kapellmeister-ish Sebastian Weigle. 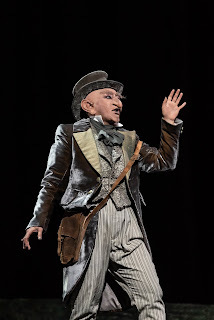 He made a considerably better job of leading the performance than in Berlinlast year: less incoherent, but ultimately still thin flat, and featureless, especially when compared to memories from just ten years ago of Colin Davis conducting this production’s predecessor here at Covent Garden. There was little to move, little to thrill. Worst of all, whatever the time on the clock, the performance dragged. This well-nigh perfectly proportioned Märchenspiel seemed at times as if it might never end. Hardly the thing for ‘children of all ages’, as the tedious cliché has it. The greatest disappointment, however, was Antony McDonald’s vacuous production itself. Had this been a remnant from several decades ago, kept on rather than replaced, one might have smiled, or at least grimaced, indulgently. That it had been commissioned to replace the thoughtful staging from Moshe Leiser and Patrice Caurier first conducted by Davis beggared belief – especially when strongly rumoured that the mouthwatering prospect of a staging of Humperdinck’s Königskinder had been shelved in its favour. A late nineteenth-century, kitschy Alpine setting was presented entirely without irony, Hänsel’s resemblance to Jeanette Krankie seeming inadvertent rather than provocative. The story proceeded as it should, through the forest, without interest and more or less without incident. The Sandman merely looked peculiar. For some reason – presumably a bit of money was left over – various characters from the Brothers Grimm wandered and danced around during the pantomime dream sequence. In case you had not noticed, a large book was brought on with the Grimms’ name on it. Then it was on to a weirdly Americanised house of horror, with little sign of gingerbread at all. Subsequent action was messed about with for no discernible reason, to the extent that it made little sense. The Witch, who at one point seemed to have stepped out of a wisely undeveloped sketch for a Carry On film, was pushed into a vat of chocolate (?) whilst the oven went unused. The children’s choir’s appearance puzzled rather than fulfilled. Kitsch to ineptitude: a Konzept of sorts, but only if it were knowing. The sole glimpse I caught of the semblance of an idea, albeit quite undeveloped, was the wolf following Red Riding Hood in the unsuccessful request for a kiss from Prince Charming prior to Cinderella’s appearance. That was it. Doubtless the third act signified an attempt to do something ‘different’, even vaguely ‘contemporary’ – in practice, about forty years old. Being different for the sake of it, however, does not an idea make. Children, still more than adults, deserved much better, as did the cast. 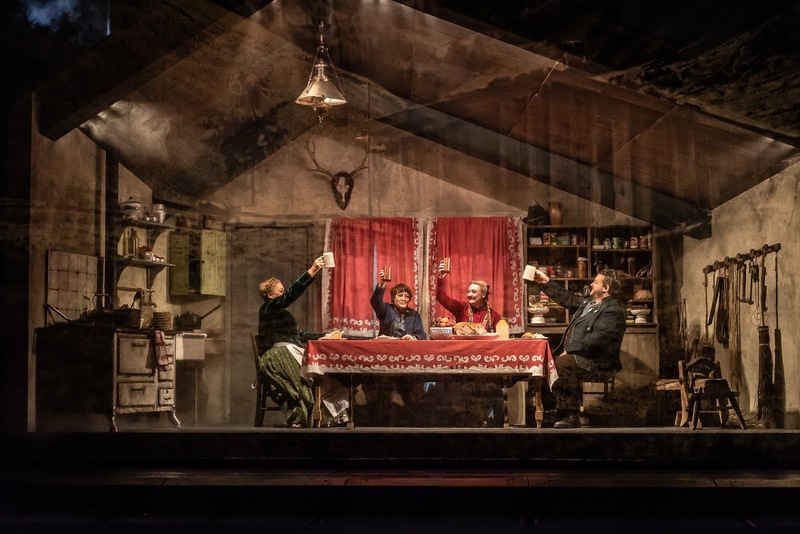 A young audience is no excuse, quite the contrary, for a third-rate staging. This was, by any standards, an evening of fine performances from the Quatuor Ebène. If I still felt a few nagging doubts at the close, I am not even sure why. Perhaps it was the programming. If the idea of Beethoven’s first – in official numbering – and last string quartets on the same programme had much to recommend it, was Brahms’s First Quartet an ideal work to hear in between them? Perhaps it was the identity of that work, no matter what the performance or programme. Dyed in the wool Brahmsian that I may be, I still find it a very tough nut to crack. Perhaps it was just me in some other way. Why mention that at all? Only really to suggest that any hint of the lukewarm may reflect more upon me than upon the performances, from which, to be fair, I learned much about the works in question. The first movement of Beethoven’s op.18 no.1 received an alert, cultivated performance form the outset. 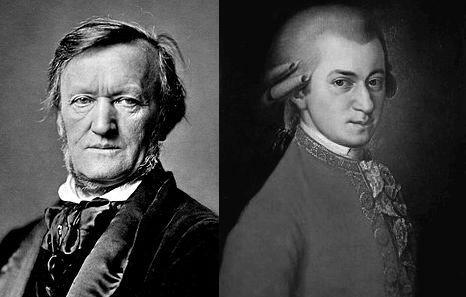 Marrying Haydn and Mozart, it was yet never reducible to its origins. Mozart sounded most evident in the balance between phrases, Haydn in the exploratory boldness of the development section, then read into the recapitulation. It was difficult not to think of the composer’s First Symphony. Richly expressive flow, like a river and its tributaries, proved a welcome characteristic of the slow movement. Or was it more akin to a tree and its branches? Either way – words will always be insufficient – it worked. There was passion, in more than one sense, to Beethoven’s vehement outbursts: unnerving, yet unquestionably right. If the fleet scherzo lacked the true simplicity of later Beethoven (as well as its concomitant complexity) that surely reflects the work rather than its performance. Classical poise, complicated by more than a necessary hint of the neo-Classical – it was already too late quite to be Mozart – characterised an accomplished account of the finale. There was no denying the motivic concision of the Ebène’s Brahms op.51 no.1, nor the expressive consequences of that concision. I was struck anew by how everything at least seemed to arise – arguably did – from those opening bars, not least the particular character of the viola writing (excellent work indeed from Marie Chilemme). If anything, that concision and concentration – almost yet not quite the same thing – increased as the first movement progressed: Brahms on a coil spring. The Romanze sang, insofar as Brahms permits; it likewise conveyed, even dramatised his complex reticence. Introverted, difficult, the scherzo paved the way for a trio all the more inscrutable, offering a degree of release in the finale, its cumulative motivic force more overwhelming still than the first movement. The players certainly had this music’s measure; perhaps one day I shall warm to it more than I yet am able. Good natured mastery characterised the first movement of Beethoven’s op.135: Haydn aufgehoben. Beethoven’s counterpoint rightly sounded quite different, though, both in immediate nature and function. The composer’s – and the performance’s – syntheses sounded so much less effortful than Brahms’s, which again is surely meet and right. Answering phrases now sounded quite unlike those of Mozart, underlining the gulf between this and the opening quartet. The relationship between vehemence and precision in the second movement was finely judged. Unrelenting in the best sense, the music looked ahead to Bartók, even beyond. A poised, dignified slow movement voiced a strangeness of harmony – still in 2018 – that could yet reconcile, only to be met by a duly disorienting introduction to the finale. Humanity ultimately won out in an integrative performance of the finale that certainly did not shirk its difficulties: much, then, to ponder. Were there any justice in this fallen world, serial Stravinsky – not to mention Webern – would be played on every street corner, or at least in every concert hall. Come the revolution, perhaps. In the meantime, let us be grateful for every opportunity we have to hear this exquisite, deeply moving music. There were occasional signs of the (slightly) tentative to the London Philharmonic’s performance of the Aldous Huxley Variations under Vladimir Jurowski: perhaps no surprise, given infrequence of performance. There was nothing to disrupt, though: anyone listening, whether for the first or the nth time, would have gained a good sense of what the work was ‘about’ – if only ‘itself’ – and how it ‘went’. Jurowski’s trademark formalism – I am tempted to say ultra-formalism – clarified structure and procedures. Stravinsky’s post-neo-Classical intervallic games, symmetries, inversions, and yes, melodies registered not only with great clarity but also unerringly chosen colour. That involved opposition – for instance, strings versus woodwind – as much as blend or synthesis. If the variation for twelve violins – ‘like a sprinkling of very fine broken glass,’ the composer approvingly reported of the premiere – hinted at Ligeti, even Xenakis, there was never any doubt as to the mind, the ear behind it. As ever, the more Stravinsky changed, the more he stayed himself. And never more so than here, in his ultimate reconciliation with the (Schoenbergian) number twelve. Threni – to give it its full title, Threni: id est Lamentationes Jeremiae Prophetae – has not proved fortunate in performance, whether in quantity or quality. Its 1958 premiere in Paris seems to have been an unmitigated disaster. The recording on Columbia/Sony’s Stravinsky Conducts Stravinsky series gives little idea of the work’s expressive riches. I have only heard it once before in concert, in an excellent performance from the BBC Singers, London Sinfonietta, et al., under David Atherton, at the Proms in 2010. Here, Jurowski, the London Philharmonic Choir, the LPO, and some of the soloists did an excellent job; some of the latter’s colleagues proved more variable, a pity in a work of chiselled precision, in which accuracy is far from everything, but remains a necessity to unlock those expressive riches. Again, though, one should not exaggerate: no one would have left without a strong sense of the work and what it might be in performance. Moreover, cantorial tenor Sam Furness, deputising at very short notice, shone perhaps the most brightly of all. Necessity, as so often, proved the mother of invention. In context, it sounded not unlike a continuation of, or perhaps better a posterior preparation for, the procedures heard and felt in the Variations. There were anticipations, moreover, of the Requiem Canticles, heard only last month as part of this same Stravinsky series from the LPC, LPO, and Jurowski: most obviously, perhaps, in the spoken choral text. That said, Threni may speak with Stravinsky’s unmistakeable voice, but it also, like all of his works, speaks with its own unmistakeable voice. Does the music ‘express’ something beyond itself, that age-old Stravinskian question (itself surely a clever pose, partly intended to prevent us from asking other, more apposite questions)? Here the question, perhaps rightly, remained unanswered, even unanswerable. The cumulative drama, mathematical and yet surely also theological, of the ‘Querimonia’ (first section of ‘De elegia tertia’) registered both directly and at a distance, female choir members and trombones punctuating its sections, each adding a further male soloist, with an almost divine ‘rightness’ that, like a Bach cantata or passion, brooked no dissent. 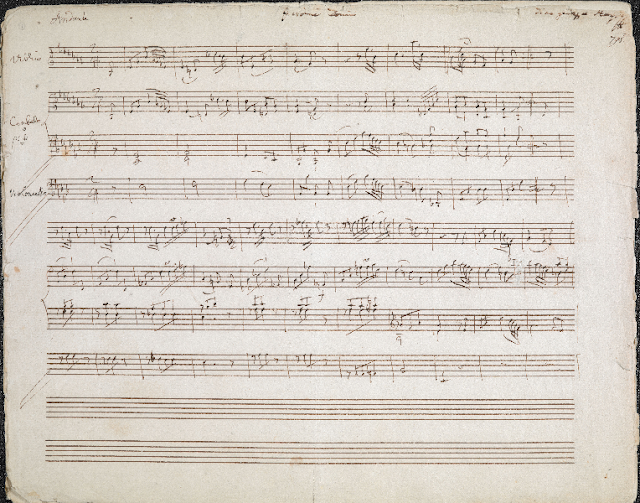 Likewise the relative rejoicing of the opening of the following section, ‘Sensus spei’, Les Noces distilled and serialised, spoke of and through intervals, but yet also of something else, which may or may not have lain beyond. As words and music progressed – I am tempted to say turned – it was as if the spirit of plainsong, its function if not its style, were reinvented before our ears, until darkness fell toward its close. ‘Invocavi nomen tuum, Domine, de lacis novissimo.’ The final ‘De eleigia quinta’ seemed to perform a synthetic role, an impression enhanced by the occasional surprisingly Bergian harmony. A text whose straining to be ‘timeless’ rendered it all the less so had been consulted, read, heard, perhaps even experienced. Had it, though, been understood? That, one felt, was emphatically not the point. I had forgotten that the 1940 Tango was on the programme. It therefore came as all the more lovely a surprise to hear it at the beginning of the second half, performed neither by piano nor orchestra, but by The Swingles: a winning introduction to Berio’s Sinfonia. Its opening chord, instrumental and vocal, acoustic and electronic, primaeval and modern, announced an entirely different approach to synthesis, all-embracing in a mode I am almost tempted to call ‘popular’ as opposed to ‘aristocratic’. Or such, perhaps, is Berio’s trick – for surely he is just as adept with games and, yes, masks as Stravinsky. It was interesting to note, though, perhaps especially during the first movement, how much I re-heard Berio through lessons learned from Stravinsky (and beyond him, Webern): just, indeed, as I re-heard words from Lévi-Strauss and others through lessons I was learning from Berio (and had from Stravinsky, Webern, et al.) Again, such is surely part of the game, the aesthetic, even the humanistic vision. In the second movement, my ears again doubtless schooled by serial Stravinsky, musical procedures once again sounded very much to the fore. That was also, I suspect, partly a consequence of Jurowski’s aforementioned formalism. Precision in performance ultimately enabled connection in listening. How to listen to the third movement? So much there is present in our consciousness already; or is it? (Or are its quotations and underlay really so very different from other music(s)?) ‘Keep going’. At any rate, I found myself convinced I was hearing a very different performance from any I had heard before, certainly quite different from that given by Semyon Bychkov at this year’s Proms. ‘Keep going.’ What sounded like a weirdly unidiomatic way with Strauss and Ravel proved compelling in this context. How can anyone make a reminiscence from Wozzeck sound amusing? I genuinely do not know, but Berio – and his performers – did. We kept going – or did we? The fourth movement emerged ‘as if’ Mahler’s ‘O Röschen rot’ were rewritten before our ears, within our minds – which, surely, it both was and was not. The music retained a trace of that Mahlerian function, whilst (apparently) effortlessly remaining itself. ‘The task of the fifth and last part,’ Berio wrote, ‘is to delete … differences and … develop the latent unity of the preceding fifth parts.’ Again, it both happened and did not. A traditional finale role of a sort was both very much with us, immanent, and yet questioned, facing imminent destruction. Jurowski’s clarity paid dividends here, ironically turning the music around to resemble other Berio works more closely than any other performance I can recall. One final Stravinskian lesson learned, then – after which two highly enjoyable encores: The Swingles singing Piazzolla (Libertango) and the LPO and Jurowski rounding off their year-long Stravinsky survey with Circus Polka: for a Young Elephant.